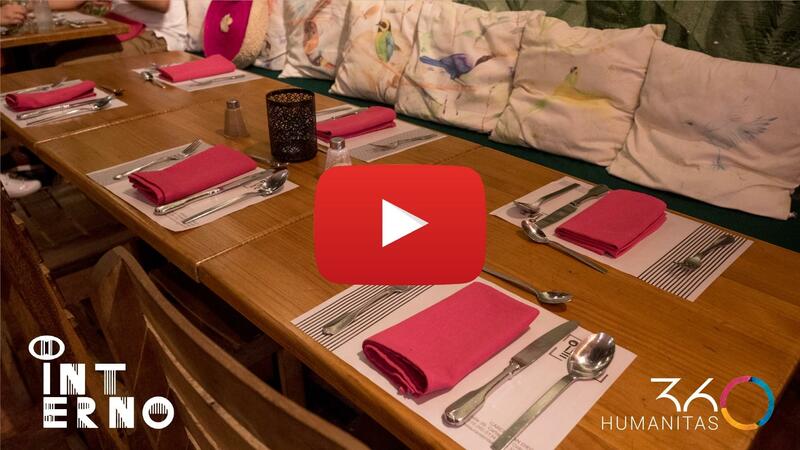 H360 went to see first hand one of the most inspiring experiences of entrepreneurship inside a prison in the Americas: the Interno Restaurant in the San Diego Women’s Prison in Cartagena, Colombia. As expected, the experience was quite moving. What is rather surprising is the high level cuisine done by the inmates. In seeking partners to stimulate entrepreneurship among inmates and ex-inmates in Latin America, the Humanitas360 Institute found an extremely promising partner in the Internal Action Foundation. There is a lot to be learned from the experience gained by the organization’s founder, the Colombian actress Johana Bahamón, and her team. At the same time, Bahamón’s organization can collaborate with the dissemination of the methodology developed by H360 in Colombia. 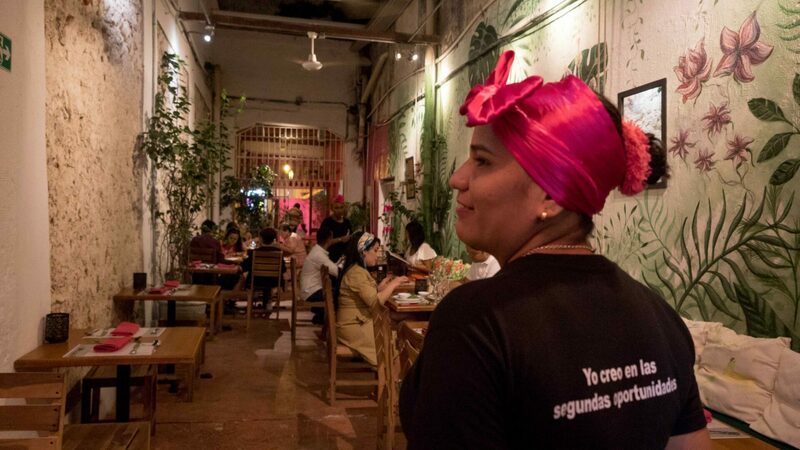 The Interno Restaurant, which was been operating for two years, has already served more than 10,000 clients. 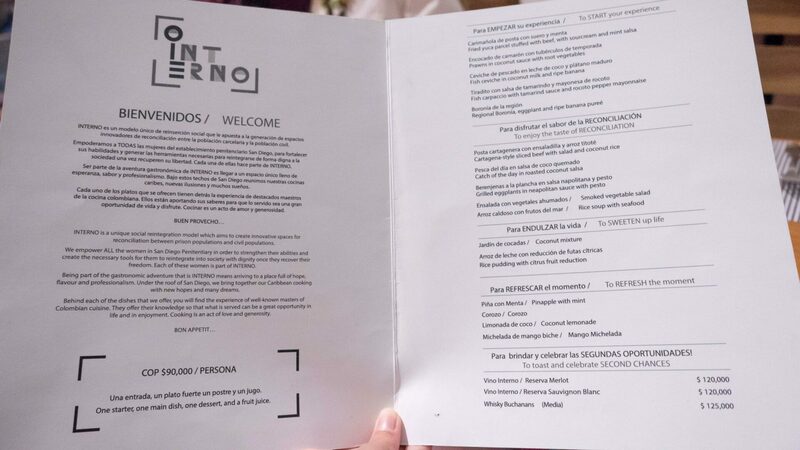 The menu was developed with the voluntary support of 10 of the most well-known chefs in Colombia. The operation is managed by Luz Adriana Díaz, who is a professor of hotel management and responsible for the training of the inmates and for all of the administrative details of the restaurant. “This project has been extremely transformative, not only to the inmates, but to everyone involved,” said Díaz with tears in her eyes as she shared during a long conversation with H360’s president, Patrícia Villela Marino. The project has already trained more than 100 inmates. Currently, there are 15 inmates that work in the fixed team of the restaurant. The Internal Action Foundation was created in 2013 and has already developed 29 projects in prison units, offering hundreds of inmates opportunities to work and earn an income. The foundation’s founder was elected the the Revista Magazine as one of the 30 top leaders in Colombia. The Prison Theater Festival, which she organizes every year, brings together plays from 18 different penitentiaries.